The national living wage encourages employers to recruit younger workers over older workers to cut costs in breach of age discrimination laws, argued Labour MP Holly Lynch during a parliamentary debate yesterday. What is the living wage used by the Living Wage Foundation and how is it calculated? 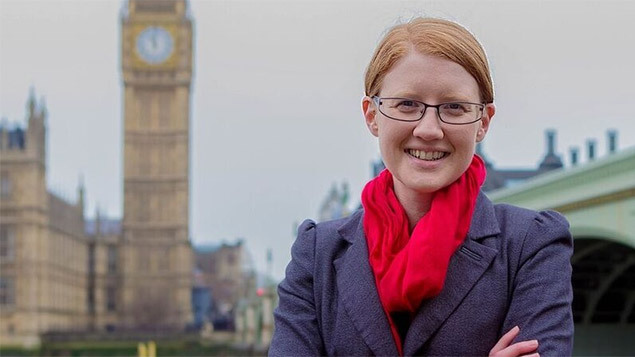 Holly Lynch, one of Parliament’s youngest MPs, was speaking during a Westminster Hall debate on “Age discrimination and the national living wage”. She argued that the national living wage rate of £7.20 per hour, which applies to workers age 25 and over, should be extended to under-25s. Workers aged 21 to 24 are entitled to £6.70 per hour. Lynch criticised the suggestion from minister Matthew Hancock that the age differential is justified because younger workers are not as productive. The MP said that there are no official statistics to suggest that older workers are on average more productive in the workplace than younger workers. She accepted that employers may need to invest in training younger workers, but countered that the same could be said of a new recruit of any age. A key argument from the Government is that a lower minimum rate of pay for younger workers reduces youth unemployment by “incentivising employers to take on young people”. However, Lynch highlighted that employers are legally required under the Equality Act 2010 to recruit the best person for the job. “Nearly six million young people could be affected by the lower wage rates and it is an absolute outrage that they have been told they are not worth £7.20 an hour, with unevidenced claims about poor productivity combined with arguments about low pay incentives that could see employers who act on them being open to legal challenge,” said Young. The Federation for Small Businesses (FSB) advises employers that focusing recruitment on the under-25s runs the risk of breaching age discrimination legislation. Alison Thewliss, MP for Glasgow Central, described the national living wage rate as “age discrimination sanctioned by the state”. Thewliss highlighted the experience of a constituent over the age of 25 whose zero-hours contract was terminated around the time the new rate was introduced. The SNP member described the timing as “very, very fishy”. During the debate, the Government’s branding of the new rate as the “national living wage” also came in for criticism. Liz McInnes, shadow communities and local government minister, pointed out that the new rate is simply an additional rate of the national minimum wage. Similarly, Scottish National Party (SNP) MP Alison Crawley suggested that the Government had misappropriated the term from the Living Wage Foundation’s recommended hourly rate of pay. The Living Wage Foundation calculates the “true rate” of the living wage at £9.40 per hour in London, and £8.25 outside London. Cat Smith, shadow minister for women and equalities, asked for more information on how the effectiveness of the national living wage would be monitored, particularly to ensure that employers are not breaching age discrimination legislation. In response, skills minister Nick Boles said the new rate was recommended by the independent Low Pay Commission and is designed to tackle high youth unemployment. He also highlighted that the age bands of the national minimum wage were originally introduced by a Labour Government. The National Minimum Wage Act 1998 allows the minimum rates of pay to be based on a person’s age, up to the age of 25. Holly Lynch said that she was “disappointed” with the skills minister’s response. XpertHR’s survey of 417 employers employing more than 833,000 people revealed concerns over the national living wage. The head of HR at one voluntary sector body said that it “doesn’t feel ethical not to pay the national living wage to staff under the age of 25 years who may have worked in the organisation for a longer period than someone who is starting and is over 25 years of age, when they are undertaking exactly the same job”. Several employers thought that it should have been added as another age bracket on the national minimum wage, rather than as a separate initiative, and based on location as well as, or instead of, age. A couple of respondents expressed concerns about the impact on agency workers, and whether or not this meant that employers would actively seek to recruit those aged under 25 as a result of this. Stephen Simpson is a principal employment law editor at XpertHR. His areas of responsibility include the policies and documents and law reports. After obtaining a law degree and training to be a solicitor, he moved into publishing, initially with Butterworths. He joined XpertHR in its early days in 2001.